The sunlight drifting through the shadowy overgrowth dancing with birds and falling leaves. No place held more mystery for peoples ancient or modern than the woodlands. For it was a place we visit often but never truly feel we see, thus the woodlands were the realms of the fairies. 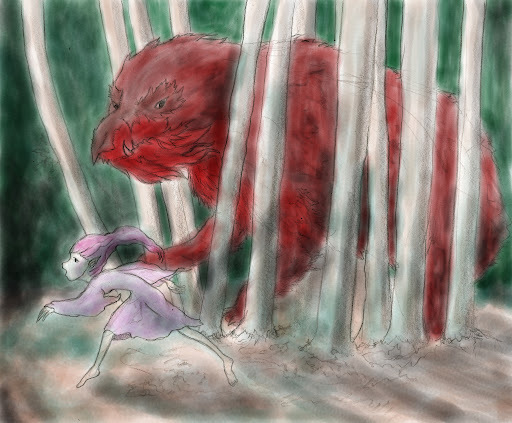 The wolf or woodland fairy of Little Red Riding Hood seeks to hunt a young girl but she is protected by a red cape and so he must trick her into taking it off into eating her. 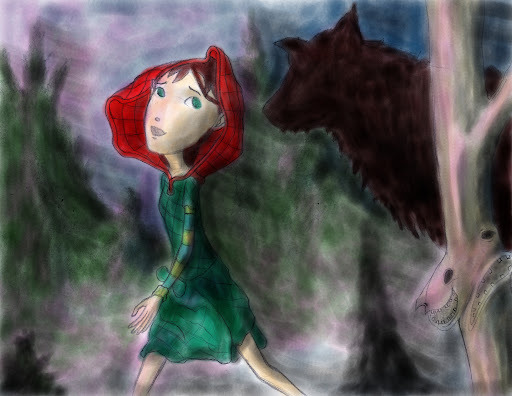 There are many versions of this tale but I like the one where in the end she tricks the wolf and makes good her escape. 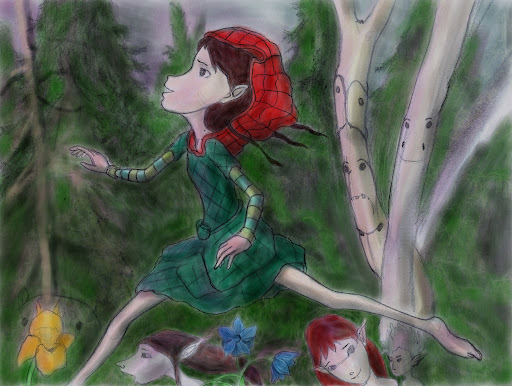 For Little Red is a creature of the forest and red is the color of the fairies. In other words Red Hood is far more than just a simple girl, rather she is a fairy doctor, going to heal those who are ill and dealing carefully with the woodland fairies. There were many dangers in the woodlands for fairies. The Germans believed that the wild huntsman would hunt down the 'little wood wives' or tree fairies in order to skin and eat them. 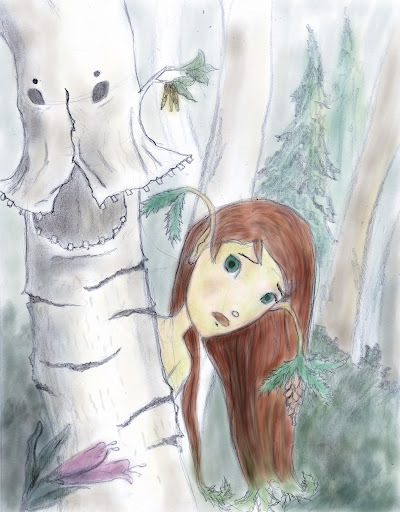 Woodsmen would protect these woodland fairies by making a cross on their trees. So there were two types of woodland fairies, the dangerous and the shy. Just as forest animals are both curious about the comings and goings of humanity many of the fairies are curious as well, more than this many woodland fairies are sympathetic to humanity because of a deep connection between us and them.